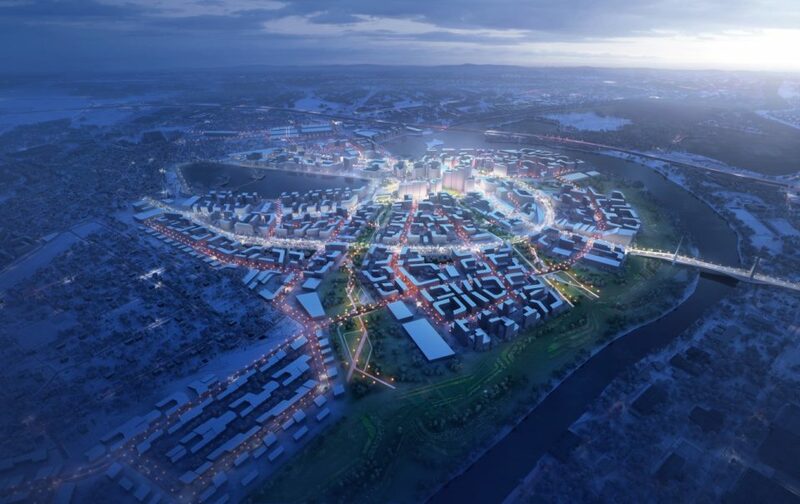 A whole new smart city is set to begin construction west of Moscow, Russia, and Zaha Hadid Architects has been selected to help design it. The firm’s proposal is a phased development prioritizing residential interactions with each other, nature and new technologies, creating “a diverse ecology” of spaces for living, working, education and leisure. The Rublyovo-Arkhangelskoke masterplan aims to be a global benchmark for smart, sustainable cities, incorporating smart tech to increase quality of life. 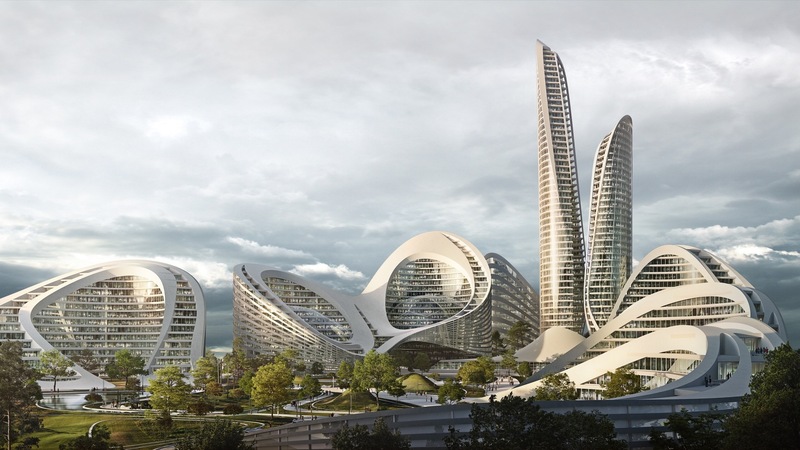 Zaha Hadid Architects worked with Russia-based TPO Pride Architects to realize a segment of the overall project (alongside fellow winners Nikken Sekkei, UNK Project, Archea Associate and ABD Architects.) Developed in response to a rapidly growing population population in Moscow, the new city will feature 4 million square meters (more than 43 million square feet) of new buildings spread over 1,137 acres. Much of that land will be dedicated to parks and forests along the Moscow River, and the city will have a 74-acre lake at its center. It’s expected to house 66,500 residents and include everything you’d expect to find in a modern metropolis: hospitals, schools, offices and shopping districts. A metro line will link it to Moscow. In terms of design, Zaha Hadid Architects’ renderings are certainly standouts with their signature organic shapes and looping ribbons stretching from the rooflines down to the ground. “Working with specialist teams in Russia and Europe, we developed a people-centric design for a smart interconnected city that brings people together not only through innovative technology but also through organizing the public realm; building a community that integrates the natural aspects of the site with principles of openness and inclusivity in high quality architecture suited for the 21st century,” says Christos Passas, Project Director at Zaha Hadid Architects.